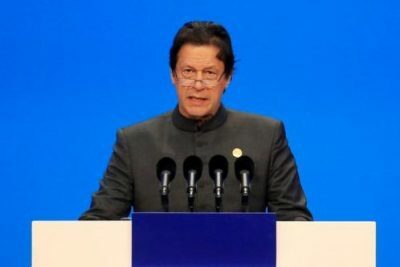 KARACHI, Pakistan (CNS) — Pakistani Prime Minister Imran Khan said Asia Bibi remains in the country, negating speculation that she had already joined her family in Canada. Khan told the BBC in an interview published online April 10 that Bibi was still in Pakistan because there was “a little bit of a complication,” which he declined to explain. “But I can assure you she is safe, and she will be leaving in weeks,” Khan said during the interview, conducted in London. The ruling sparked violent nationwide protests that came to an end only after the government agreed to stop Bibi from leaving Pakistan until a challenge to her acquittal was heard by the top court. On Jan. 29, the court upheld Bibi’s acquittal, allowing her to exit Pakistan. Kashif Aslam, a program coordinator for the Pakistan Catholic bishops’ National Commission for Justice and Peace, said Bibi’s presence in Pakistan appears as if the authorities are waiting for a conducive time to move her.